Has German cyber defense system collapsed? In July 2017, German authorities raised an alarm over increasing cases of cyberattacks on its officials and companies. According to Reuters, German companies have lost billions of euros on industrial espionage. In its 339-page report, Germany’s domestic intelligence agency (otherwise known as BfV) pointed out that the small and medium enterprises were the worst. One year later, more and more Germans have fallen victims to data thefts. From celebrities to political figures, musicians to journalists – these online assailants have attacked over 1,000 public figures in this European country. The attackers left no one in doubt that their key targets are well-respected Germans when they launched an attack on German Chancellor Angela Merkel in December 2018. After the data hack, the German Chancellor’s private chats, contact details, and financial records were posted on Twitter. The Sun reported that Katarina Barley, Germany’s justice minister, spoke on the audacious attack, saying that the authorities were taking it seriously. At the end of the cybersecurity breach, German intelligence agencies called for an emergency meeting. At the end of the meeting, strong indications emerged that the attacks could be state-sponsored. 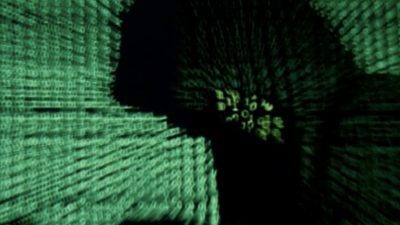 Local reports say that German authorities are suspecting Germany’s rightwing group and Russia as the perpetrators of the data breach. Although it is difficult for German officials to categorically state the reasoning behind the attacks, it is strongly believed that they wish to shape public opinion. For instance, some Germans assert that the assailants wish to send a strong-worded message to ordinary Germans that their politicians cannot be trusted. When they have ultimately achieved that, then the democratic process would be thrown into disarray. Why are these attacks still a success? It is shocking that these attacks are still successful despite concerted efforts to end them. Sophisticated cybersecurity attacks have become commonplace in Germany for years. Indeed, for nearly one decade, Germany has been under cyberattacks, leading to huge data and financial losses. In light of this, in 2011, authorities in Germany devised a cyber strategy that will end the data theft once and for all. Giving more insight into the project, Richard Nethercott, member of the Center for the Protection of National Infrastructure, disclosed that plans are underway for proper Intel sharing and threat mitigation. Nethercott, who doubles as a board member of the risk management advisory group, noted that the strategy would enable the German government to protect its critical computer infrastructure. Known as Nationale Cyber-Abwehrzentrum, the project would form a hub for BfV and federal offices of information security. Operating from within the Office for Information Security (BSI) in Bonn, Nationale Cyber-Abwehrzentrum will see to it that important networks in Germany remain shielded from cyberattacks. Has poor management marred the project? Upon launching Nationale Cyber-Abwehrzentrum, many Germans applauded it. However, it seems the project is not living up to expectation. Critics wonder why attackers despite the office supposedly being able to forestall the cyberattacks are hitting public figures. The BBC reported that the office came under heavy criticism for its poor management of intelligence information concerning systemic data leak in Germany in December 2018. The agency didn’t inform the police weeks after top German politicians were attacked by yet-to-be-identified cybercriminals. In response, the agency said that it was still trying to determine the extent of the attack. Much as the agency has refused to admit that it failed, what is, nonetheless, true is that the successful attack on the German Chancellor shows that cyber defense should be a serious concern for Germany.